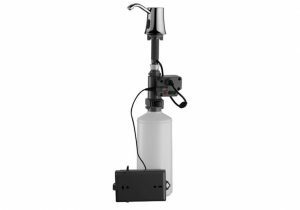 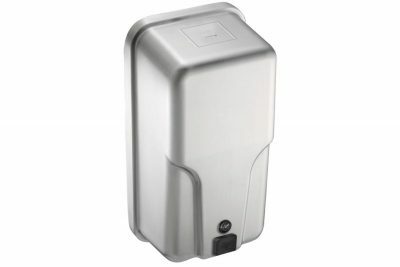 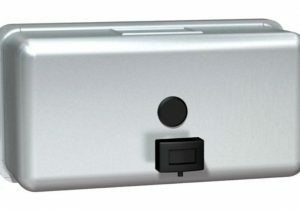 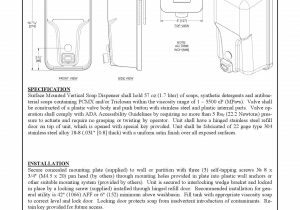 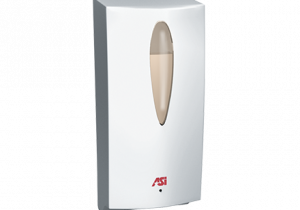 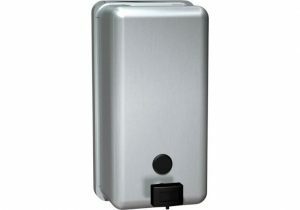 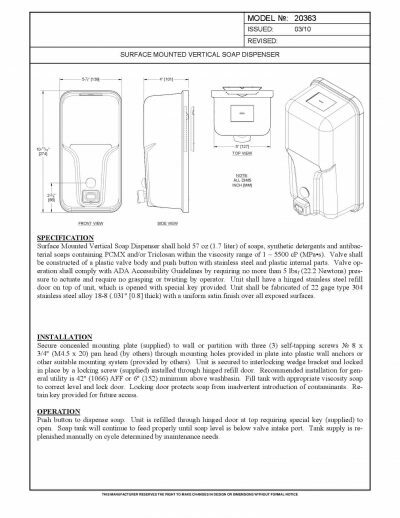 Surface Mounted Vertical Soap Dispenser shall hold 57 oz (1.7 liter) of soaps, synthetic detergents and antibacterial soaps containing PCMX and/or Triclosan within the viscosity range of 1 – 5500 cP (MPa•s). 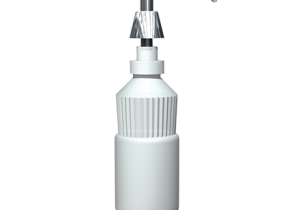 Valve shall be constructed of a plastic valve body and push button with stainless steel and plastic internal parts. 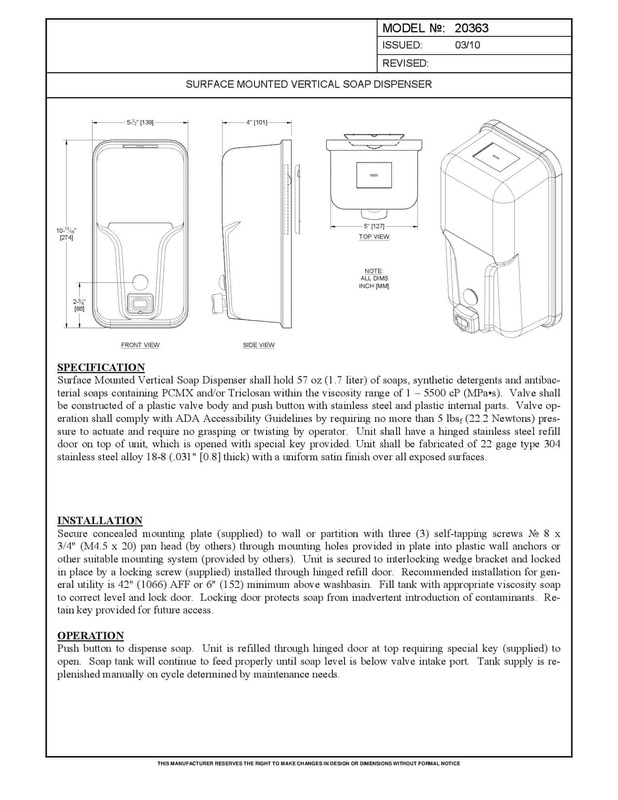 Valve operation shall comply with ADA Accessibility Guidelines by requiring no more than 5 lbs f (22.2 Newtons) pressure to actuate and require no grasping or twisting by operator. 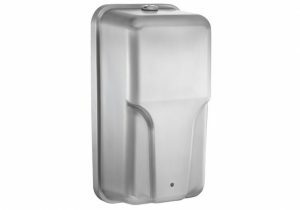 Unit shall have a hinged stainless steel refill door on top of unit, which is opened with special key provided. 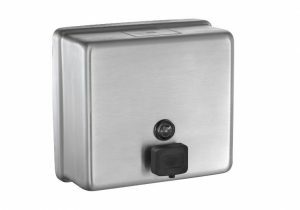 Unit shall be fabricated of 22 gage type 304 stainless steel alloy 18-8 (.031″ [0.8] thick) with a uniform satin finish over all exposed surfaces.